The British Gazette » WHY? “The Labour leader’s five demands include a “permanent and comprehensive UK-wide customs union” aligned with the EU’s customs rules but with an agreement “that includes a UK say on future EU trade deals”. What is perfectly clear from the SRB’s report is that Madame is “running down the clock” in an attempt to force her recalcitrant back bench MPs along with enough opposition MPs to vote through the Withdrawal Bill. Thus – as of today – after 46 years, 1 month and 1 week on EC/EEC/EU membership it comes down to a game of chicken played with the economy and inter-alia the lives and the futures of it’s citizens – of the UK. We are thus wholly entitled to ask of Madam question: WHY? The FACT is that Madame Mayhem is a Tory through and through and has been her whole life. She eats, breathes and probably even defecates Toryism. Given a 52/48 Leave/Remain result, the RIGHT AND PROPER course of action should have been to take a cross party approach to the issue of Brexit right from the start and before Article 50 was invoked, proceed to develop a cross party consensus on the Brexit strategy, then appoint a Special Commissioner to negotiate such. This is of course, more or less what the EU did! 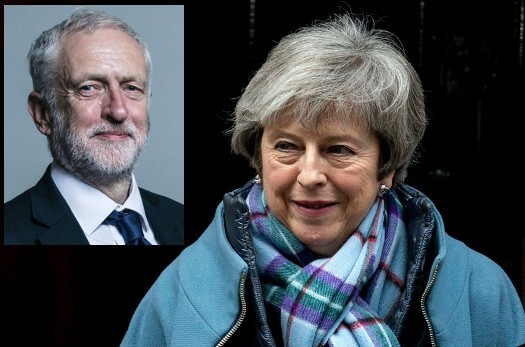 The FACT of the matter is this: As of today, the entrenched adversarial “two party” system has already brought this country within 51 days of ruin and threatens if a No Deal Brexit takes place to that ruin. The conclusion? That the political system in the UK is broken. Why keep on pretending that the result was close. If a party won an election with a gap of 4% between them they would regard that as brilliant and enact their programme and not water it down to a half way house which satisfies neither side. Invoke clause 24 and trade as we are for 2 years and sort out a trade deal which should have been done by now with competent negotiation and if David Davis had been allowed to do his negotiation and not be undermined by Madame Mayhem and Olly Robbins’ secret contrary “give ins”.